Vamachara means left hand path where negative forces are used to cast a spell on people. Performing Vamachara on a person will affect him with problems like nearing death incidents, loss of memory, wealth loss, setbacks in ongoing works, incurable diseases, blood realated problems, loss of appetite, etc. Vamachara Sandhi Shanti is unique and should be performed only after consulting a priest or an astrologer. 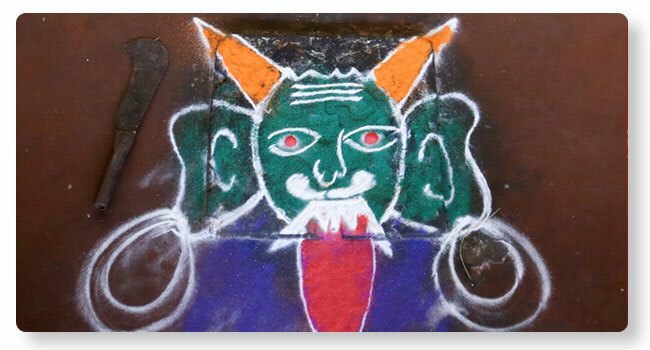 Gokarna is a powerful place where all evil effects are removed. Shanmukha, Rudra, Durga and Narasimha are worshiped in this Seva, who will remove the bad effects of any witchcraft or black magic.